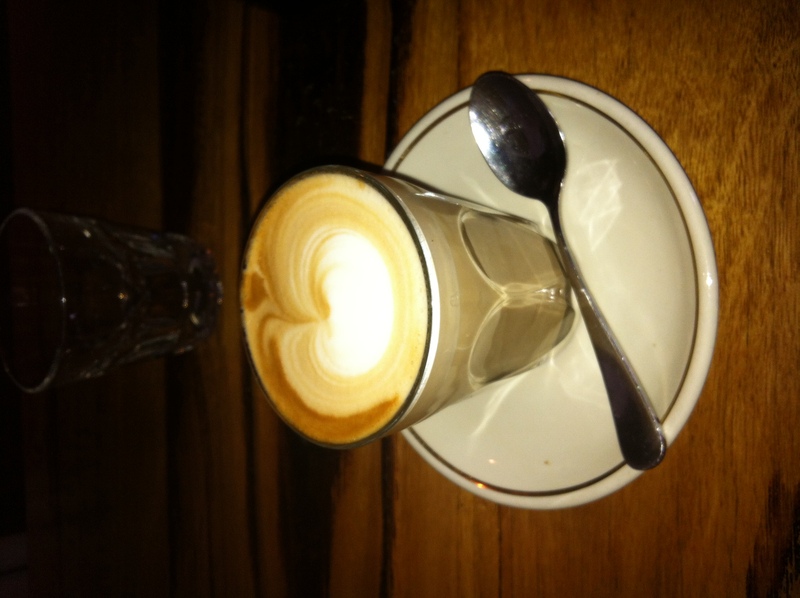 Today was supposed to be my 100th coffee at a top 100 coffee spot, signalling the end of my challenge for 2011. However, Crue Coffee Lounge is under renovations, and as a result, I was unable to complete my 99th prior to meeting my friends at Il Fornaio. I don’t know when Crue will finish it;s renovations, so at the moment, my 100 coffee challenge is as far as it can go. Il Forniao is located around the corner from the Prince of Wales hotel. Just off the main road, it still attracted a lot of traffic from the public. While I was waiting for Ed and Hayd to turn up, I ordered a freshly squeezed orange juice, and wow, was this good. I haven’t had fresh squeezed for a while, but this was worth it. They also had other fruit juices, freshly squeezed, on the menu. Today’s special was a banana juice. Hmm, not sure what this would be like. Hayd was looking for a standard big breakfast. It wasn’t apparent on the menu. The menu was a little off mainstream. Scrambled eggs it was. Ed ordered a Spanish sweetheart, Corn fritter with poached eggs. 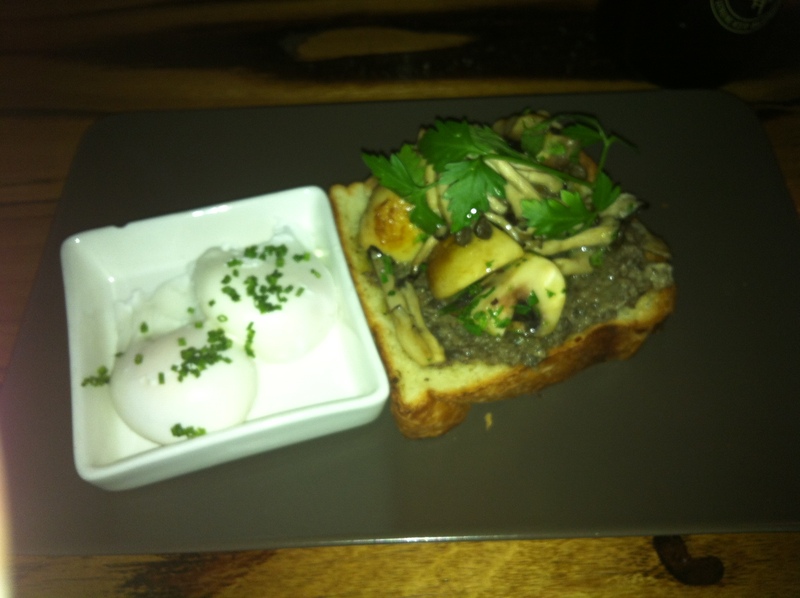 I ordered a my mushroom toast, which was a mixture of mushrooms, on toast. I ordered some poached on the side. I really enjoyed my breakfast, interesting flavours, and a great combination. The coffee came out a little cold, though not undrinkable, although this also made for a smoother coffee. However, it did lack a little in the flavour and thus character. It had a little aftertaste associated with it as well. Overall not a bad coffee, but would not consider it a great one.